Bright colourful snap cards featuring everyday objects and their names in Spanish. 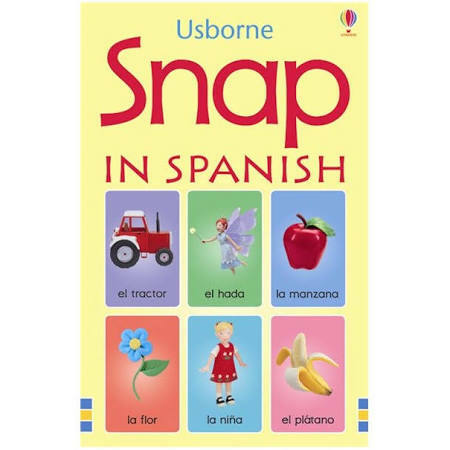 A great way for young children to learn Spanish words while playing a much-loved traditional game. Delightfully illustrated with Jo Litchfields hand-made models.